You would have to be living on a deserted island to not have heard at least something about genetically modified foods, often referred to as GM foods or GMO’s (genetically modified organisms). These types of foods are highly controversial and the possible dangers are hotly debated topics on the nightly news, internet sites, and social media. In order to understand what the controversy is all about, first it’s important to understand the science that goes on in the making of these foods. Although most of us are not genetic scientists or rocket scientists, we can still obtain some level of understanding about how GM foods are made and, therefore, why they are so controversial. 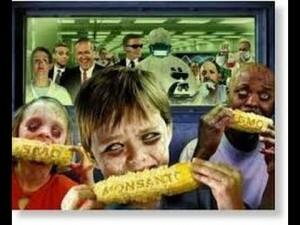 As we stated earlier, GM stands for genetically modified. Occasionally you will see the term GE, which is genetically engineered. Both terms are used for foods that have had the genes of the plant changed using biotechnology. This isn’t actually something new. All breeding or attempts to propagate one species of plant onto another species to yield different results is modifying plant genes. However, what used to take farmers hundreds of years (if they were successful) can now be done in a lab in a matter of 1 to 5 years. Think of genes as a set of instructions which tell the plant (or animal) how to create a living thing. Genes tell corn how tall to grow, how big the tomatoes will be, when to flower or when to produce seeds. These instructions are a type of code made up of DNA. All living things inherit genes from their ancestors. This is why we look similar to our parents or grandparents. Genes, however, are not always stable. They can easily make mutations, which cause some differences. That is why you do not look exactly like your brother or your mother. Now that we have a basic understanding of what genes are, let’s look a quick look at evolution. Evolution is a very, very slow process that allows some species to change in certain conditions over time. For example; let’s say there is a tropical island with very wet, humid temperatures year around. Plants on that island grow well in these conditions. However, over the next 20,000 years, let’s say, the climate begins to change and what was once very wet is now very dry. Some plants will evolve and learn to live in these very different conditions. Others do not and those species die out. This is called natural selection. You might be more familiar with the term “Only the strong survive.” Mother Nature has created life so that only the genes that are able to change and survive will be passed on to future generations. Natural selection, as we just discussed, is designed by nature. However, humans have used these same types of principals to make their own breeds of animals and plants. Cows, for example, have been bred over hundreds of years to produce bigger animals for more meat and milk. Apple trees have also been bred to make bigger, prettier looking apples. 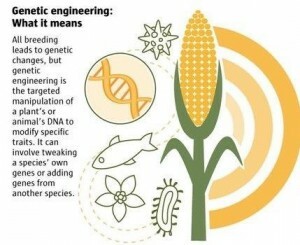 Genetic modification or engineering uses basically the same process, but they can speed up the results considerable in a lab setting. In a lab, scientists can transfer genes from one species to another to produce more desirable results. They can turn off a gene or turn one on. By changing specific genes in a lab, we can make plants produce more food, larger produce, or make them resistant to disease, certain insects, or even resistant to certain pesticides or herbicides. Genetic modification can also be used to increase a plant’s nutritional profile, making the same plant give you more nutrients for your caloric buck, so to speak. GM can make plants taste better or make them grow more quickly. The possibilities are almost endless when you think about it! One of the first GM foods were papayas in Hawaii. In the late 1980’s, the papaya plantations were almost completely destroyed by the ringspot virus, which not only destroys fruit, but kills the trees as well. Genetic modification of papayas led to trees and fruit that were almost immune from this disease. The first trees were planted in 1998. This study not only explains the entire process, but has fascinating pictures that show the benefits of genetic modification. 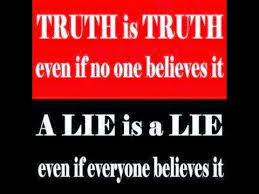 Tons of misinformation abound on the internet. 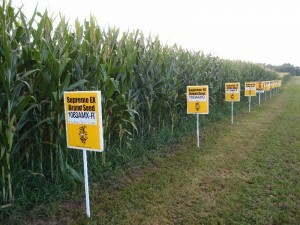 You might have read stories that GM corn has the insecticide glyphosate (RoundUp) as a part of its DNA; which means that you would be eating insecticide. Others state that merely touching these plants calls for HazMat suits or that eating these foods gives you tumors and all sorts of cancers. Other sites are at least a bit more honest in saying that they don’t know exactly what harm GM foods can do, but they are sure they must do something because they aren’t “natural”. Also, people should also be aware that most websites that encourage this type of fear mongering are trying to sell you things. Articles that scream about the dangers of “Frankenfoods” are nothing more than click bait. The truth is that the risks of eating GM foods are very, very low and although some online “experts” would like you to think that these foods are toxic, the truth about these plants cannot be ignored. There is, currently, NO EVIDENCE that these foods have ever caused humans any harm whatsoever. You might have read that some studies are not to be trusted because they were conducted by biotech companies, but there are plenty of other studies, by independent companies, which have shown that these foods are safe for both humans and other animals. There are other factors, such as the use of glyphosate on these crops, but we will discuss these facts in another article. GM foods cannot be reasonably classified as being “toxic, unhealthy, or unnatural” as science has shown that none of these things are true. Fear mongers abound, however. Don’t be fooled or allow yourself to be ruled by fear. Check out the facts for yourself.